With wireless technology opening up new possibilities, you can get some really high quality cameras. And, they are downright easy to install and still produce good quality. Want the fastest way to choose the best wireless security camera system? words long (according to wordcounter.net). It has everything you need to choose a great camera for your unique situation. What if you could be done in 5? Do you have something you'd rather be doing than reading this? If so, I've created a way for you to pick a camera quickly and get on with something you really enjoy! I read about security cameras every single day, graduated (with honors) with a master's degree in computer engineering (that took me 5 years), and have created an intelligent, automated guide in Messenger to do just that (several days of work). And you can use my knowledge in as little as 5 minutes. Click here to take a quick survey in Messenger and get a personalized recommendation, and I'll personally answer questions for the first 50 that message me. No sales pitch involved . . . I just want to give you the help that I wish I had when I first started trying to find a good camera online. And if you think it's really helpful, you can use my link to Amazon when you get a camera to buy me a cup of coffee at no cost to you. If not, no big deal. Otherwise, keep reading, and I'll bring you up to speed on everything you need to know about how to pick out a great wireless security camera. Wait, you mean this still has wires!?! No wires! What's the catch? Not quite wireless but close! The benefit to wireless security camera systems (and I mean REALLY wireless AKA battery powered) is that they are incredibly easy to install and to move. You can put multiple cameras around your house and have more opportunities to catch a good picture of the burglar's face. For example, this video of a burglary captured on a security camera gives you an idea of how hard it can be to get a quality picture of a burglar’s face with your surveillance system. Unfortunately, that's true even when he isn’t wearing a hat or hoodie. Plenty of people think “wireless” means no cables. You too? Sorry, you’ll still have to run power for most cameras. And yes, that includes the ever-popular Nest cam! What does wireless really mean? Strictly speaking, it means no wires, of course. But, what you’ll really get when doing a search for wireless cameras is a list of cameras that transmit their video feeds using wireless protocols (WiFi). Most often, they still require a power source that is very dependent on wires. Chances are, you are searching for wireless cameras because you actually want to avoid drilling holes in walls, eaves, or attics to run cables all over your home or business! Don't have time to read all 3500+ words in this article to make the best decision? Answer a few questions about your situation and get a personalized recommendation in about 30 seconds. Just click below and select "Get Started." Visit our home security camera comparison page. Here’s a video walk through if you’re allergic to instructions. Open the home surveillance camera comparison tool in a new tab and follow along. So, don’t expect to be reviewing hours of video of your empty house or your grass growing. Sensors on the cameras will “wake it up” when something happens so that it can capture video while something notable is happening. Then it will relay the information via your network, and then settle down for its next nap. Meanwhile, depending on the camera, you can get a notification pushed to your phone with an image or a video clip taken by the camera. From there, you can log in to review video of the event. So, you can watch the UPS man tossing your package onto the porch from 5 feet away. The Netgear Arlo is a compact HD (720p), battery powered, outdoor camera with some clever software behind it. The Arlo is smart about when it records footage so that it can last around 6 months on a set of batteries. One thing to keep an eye out for is how the batteries hold up in cold weather, that’s a notorious weakness for most battery types. 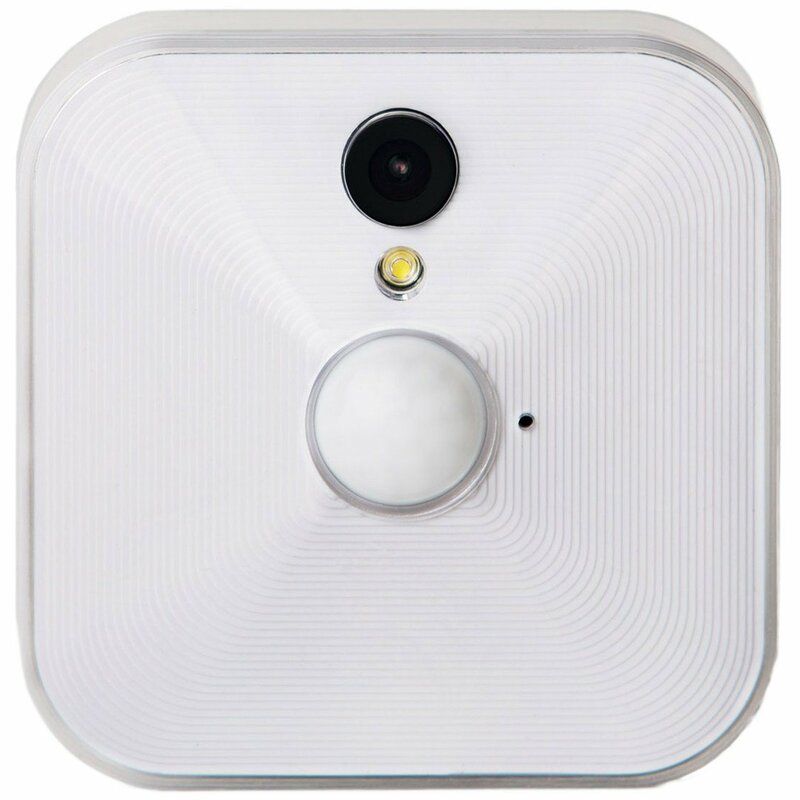 The operating temperature range is from 14 to 122 degrees F. Combine compact size, completely wireless design, and magnetic mounting options, and you can place an Arlo camera just about anywhere you can dream up. They come in a kit of 1 or 2 with a hub that will set you back $200 or $350 respectively. So it’s a non-trivial investment to get started with the Arlo. The initial reviews have been positive too, so it might be just what you need. 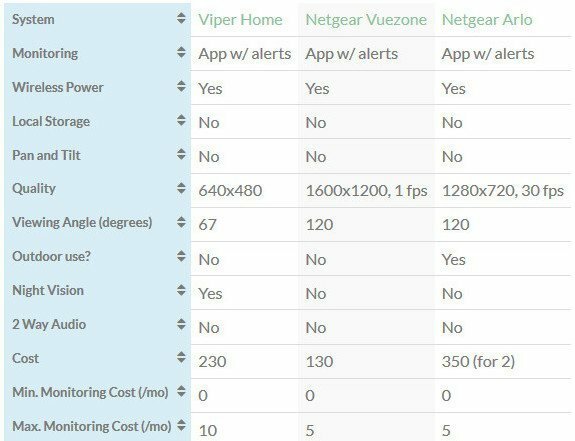 Don’t forget to see how the Netgear Arlo stacks up in terms of features and cost before you buy. The Blink series of cameras, by Amazon, were designed to be lightweight, compact, and weatherproof cameras and boast to run for 2 years with single use of 2 AA batteries. It has a slick design and showcases a really classy look similar to a GoPro. Blink features a FREE cloud storage (up to 2 hours of video recording only) and an Amazon Alexa integration. 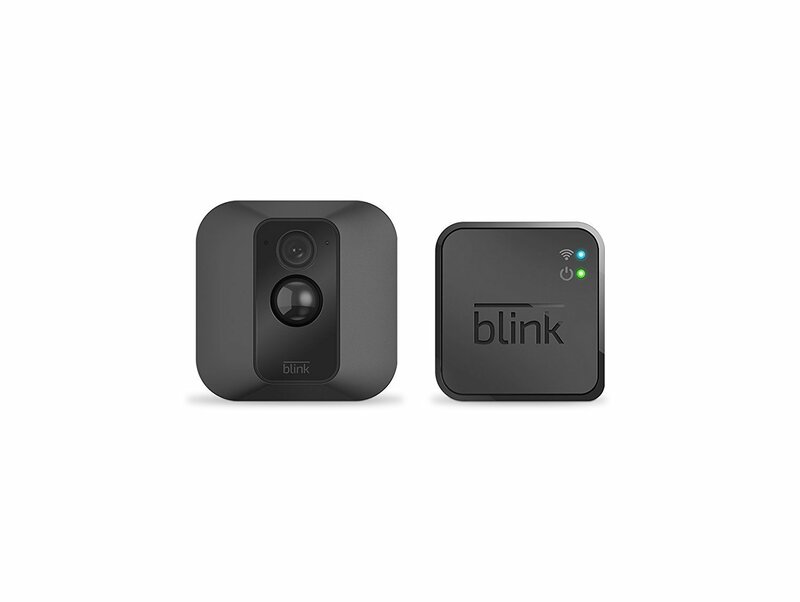 Check out the latest Blink pricing and reviews on Amazon. 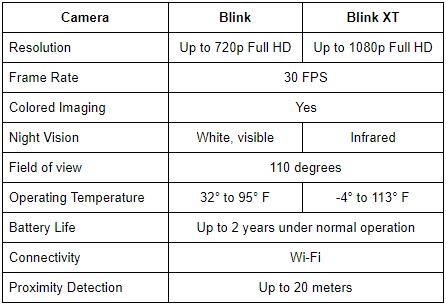 Blink offers two variants in the market - the Blink and Blink XT cameras, with the latter having night vision and better resolution. The regular costs of these cameras are $230.00 and $320.00, respectively. They come in a kit of 3 cameras along with some basic accessories. Now don’t confuse the name with the Forward-Looking Infrared technology. 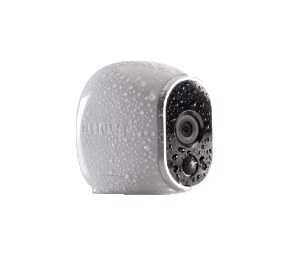 FLIR FX cameras are HI-DEFINITION Wi-Fi security cameras for indoor and outdoor use. The designs are identical with a web camera and a bullet style or network CCTV camera. They also have the FXV101-HS camera for the sports and outdoor lovers. 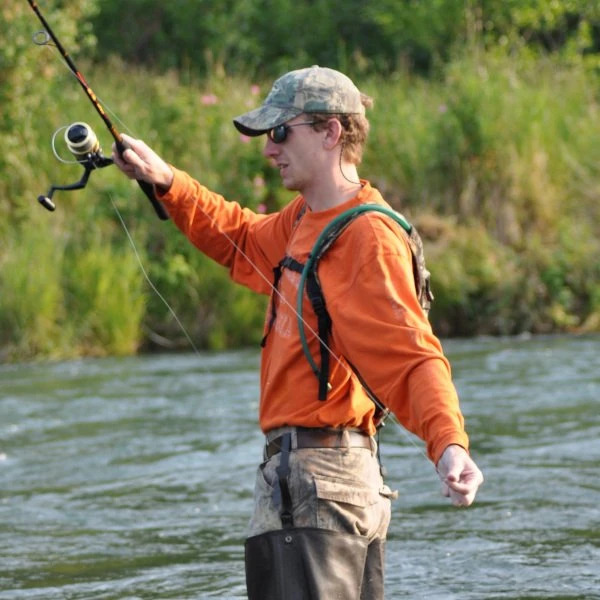 It resembles a GoPro that can be mounted on a helmet and has a waterproof case accessory. 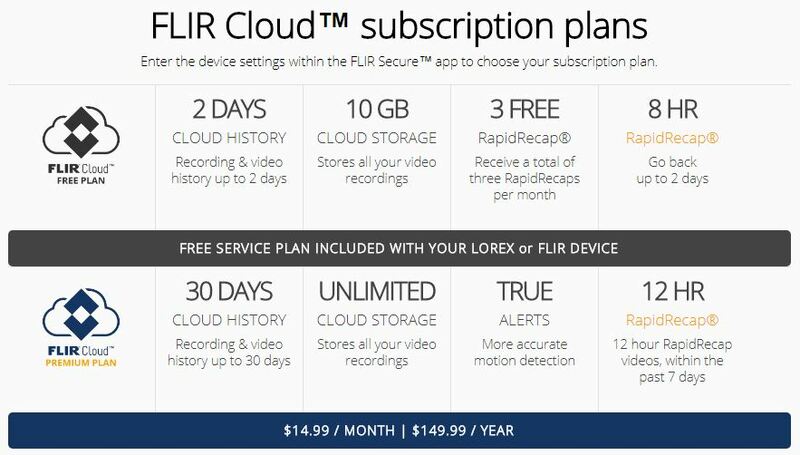 Optimized for mobile, the FLIR FX cameras give you on-the-go monitoring, smart alerts, and up to 30 days worth of motion video recordings on the cloud (or save it locally on a microSD card). It’s got night vision capabilities and internal temperature and humidity sensors. Unlike the other cameras featured above, the FLIR FX is not great when it comes to battery life.That’s because it is meant to be powered externally thru its USB port and its batteries are just for backup or using it as a mobile camera. It also has some issues users cite like, app glitches, lag during recordings, and limited third-party integrations. Here are some of their best-sellers along with prices. Their cloud services is also on subscription basis. They will give you a 30-day basic trial but if you really want to invest on the advanced features like quick video review and storage beyond two days, you’ll have to pay $15 a month. Packed with all good features, the Ring Spotlight cam has become so popular not only because it has been acquired by Amazon, it’s like a jack-of-all-trades but has the good things you could ask for a camera. True to its name, it really functions like a security guard and puts any would-be intruder into the spotlight. For a price of $199.00, you can get lighting and a security camera. Just check out the reviews on Amazon if you're skeptical! Netatmo Welcome is a new breed of wireless indoor camera. Talking about style, it sports a slick cylindrical shape that conceals perfectly on top of your tables or drawers, making burglars think that it’s just a regular power bank. Now, what’s really interesting about this camera is its revolutionary motion alert notification. It will send you an immediate alert if an unknown person has been detected inside your home, together with its facial image and a video recording of its activity. You can also disable the camera so not to record videos of you and your family members for privacy. Of course you won’t like to get caught singing to Katy Perry, right? Its facial recognition capabilities will automatically know who is who. On top of that, it could also send you alerts if it hears fire or smoke alarms and will send you a video feed of what’s happening. Setting it up is plain and simple. Just place it in an inconspicuous area, facing where you suspect an intruder might come in, plug in its power adapter, download its app, and introduce yourself and your loved ones to it for facial recognition. The Netatmo Welcome works with Google Home Assistant and has no subscription fees. The Netatmo only backups screenshots to its cloud. The full video recording is saved to the local storage. Is powered via a cable which hinders portability. It is able to learn and identify faces and could tell when someone has arrived or left. Is limited only to be placed on flat surfaces since it has no mounts included. You can configure not to record on selected people to maintain privacy. One-time payment only. No hidden charges. Only the IFTTT integration works satisfactorily. 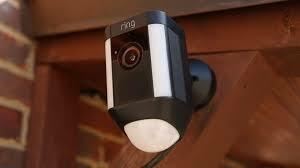 Allows multiple people to manage the camera and be integrated with geofencing. Has bad user-experience for its app. 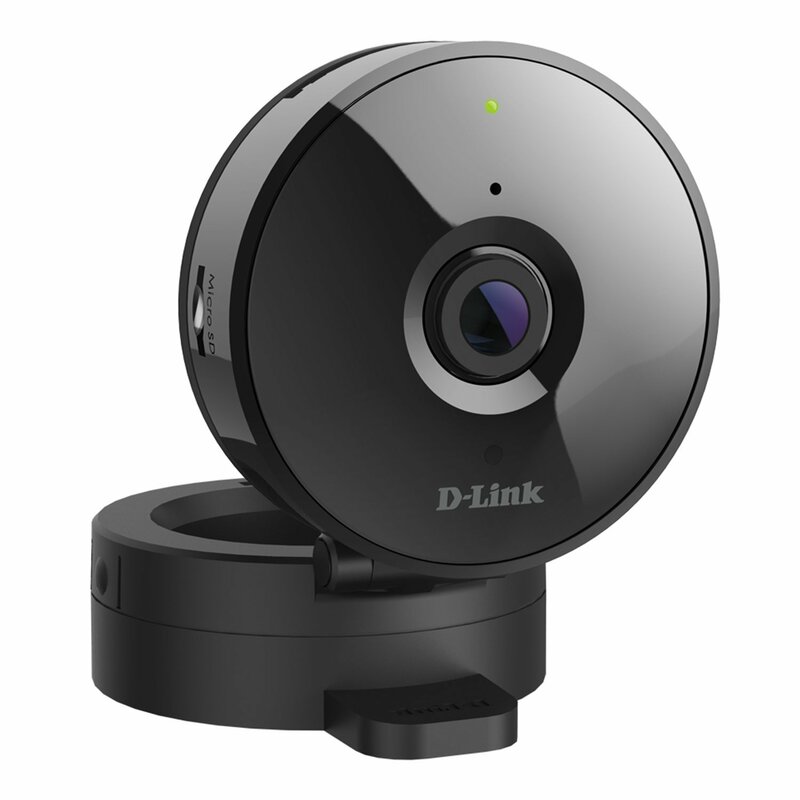 The DCS-936L camera by IT equipment manufacturer giant D-Link is designed to look unsuspicious unlike most common security cameras. Its matte black color easily blends in shadows. What I like about its design is you can swivel and rotate the lens to focus to whatever direction you want while having its base firmly gripping on a flat surface. It’s like a foundation makeup or a candy box that you can open its lid. 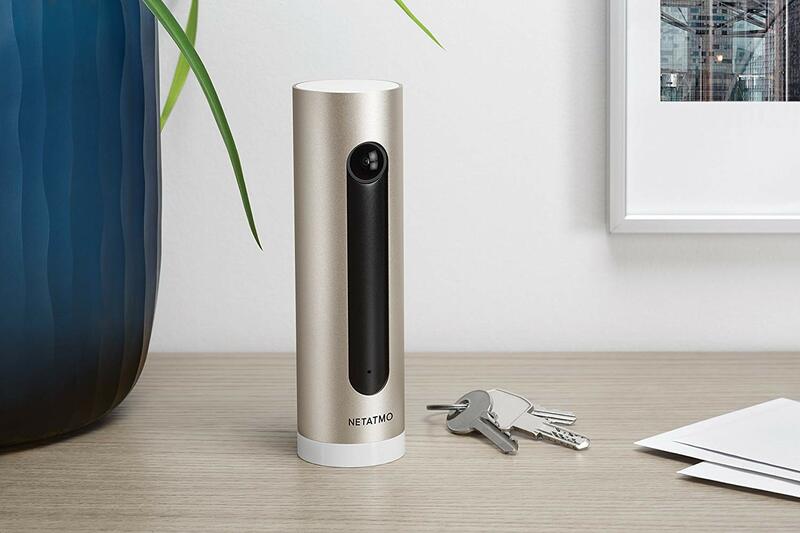 It has the features similar to the Netatmo Welcome camera but aside from having a microSD card for local storage, it can also push video to your NVR (networked video recorder) which is very handy for backups when some clever burglars would try to steal either the camera or NVR. The upload and download bandwidth your IP cameras are consuming may vary with several other factors. These include the compression (such as MJPEG/MJPEG-4 and H.264). camera resolution, FPS (frame rate per second), and the number of cameras connected to your network. If you want the best quality of video (such as higher resolution and more FPS), more bandwidth is required. Unfortunately, this may slow down your network if you wireless router is close to its limits due to video streaming services or heavy internet use. Co-channel interference is one of the many reasons why you your wireless cameras may not properly send you clear video signals. Most wireless devices today, such as Bluetooth, Zigbee, walkie talkies, and many others communicate via the 2.4 GHz channel. If you use a lot of these devices, that may lead to congestion of the channel and interfere with your video signal. Unless you can determine which devices are having problems (a difficult task for even tech-savvy users) change your wireless cameras and wireless router to another channel (some routers are dual-band which can be used both in 2.4 GHz and 5 GHz channels), then it would be impossible to avoid the interference. If you are planning to use a cellular camera to monitor your home/properties without WiFi connectivity, you have to consider the upload and download speed needed for your camera and how much your service provider can offer. For example, if you prefer to have a resolution of 640 x 480 pixels with 7.5 frames per second, your service provider should be able to provide at least 650 Kbps of upload and download speed. If you need a higher resolution video to monitor your property, a 3G/LTE cellular camera may not be able to meet your requirements. You won’t be able to view the property in real-time from your phone, and recordings of any break-ins may not be preserved if connectivity is poor. Plus, some connection plans will set data limits, or caps, that could be hit if video is constantly being streamed to a cloud service or if you pull up the video feed on your phone very often. That could lead to a very expensive bill that you aren’t expected. Perhaps the obvious benefit of battery-operated cameras is that it is completely wireless, thus making it more flexible. However, batteries have their own disadvantages as well. For example, if you are installing your camera outdoors, the WIFI signal from your home or office may not provide a solid data connection to your camera. 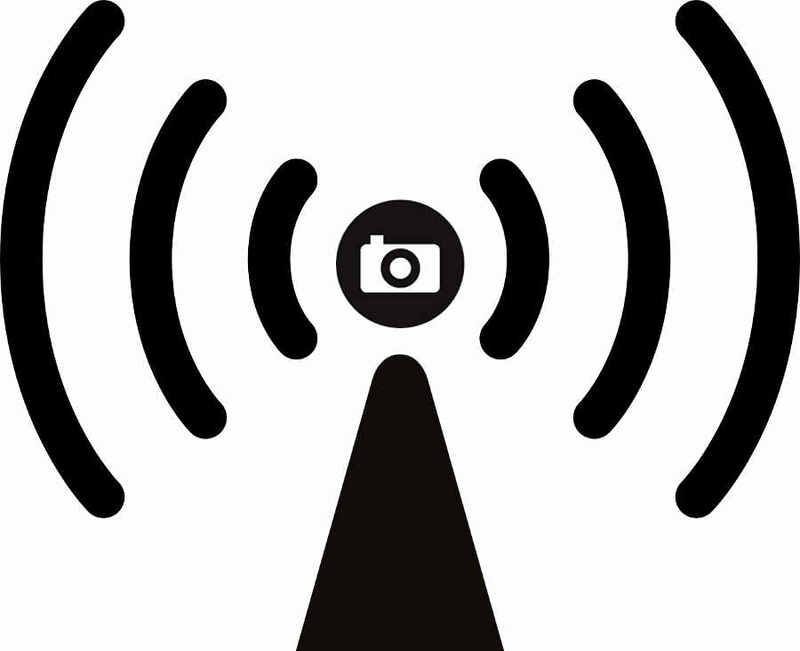 A weak WIFI signal will cause your camera to use more power to stay connected. Other pitfalls of using batteries include their lower storage capacity during cold weather. Moreover, cameras that rely on motion sensors for turning the recording status on and off may not always record, or sometimes may take more time to wake and record on motion events. Despite this, your camera will still continuously use power whether it’s recording or not. If your battery can last up to 5 months, it is estimated that you’d only get about 13 hours of continuous recording for one popular camera. And when your battery finally goes down, you will need to replace it. If you install 4 cameras around your house, do you really want to go around and replace batteries 4 times a year? Since the cameras will likely see different levels of activity and recording, you can’t rely on them all requiring a battery change at the same time like you do with your smoke alarms. Even worse, the batteries may die when you are travelling away from your home or you’re on a holiday vacation outside the country. If the battery suddenly goes down, then you won’t be able to monitor your properties because nobody can replace your batteries. We all love the idea of using renewable energy – it’s green and environmentally friendly. If your wireless camera can be powered with solar energy, then that would be awesome! But there’s a downside – what if it’s raining for days and there’s no sun to power-up your cameras? That is the reason why cameras are backed-up with batteries rather than being fully dependent on solar power. However, it’s going to be a headache if you are monitoring a remote property away from home and the battery died because you have a few days of bad weather and the battery did not have enough power stored. 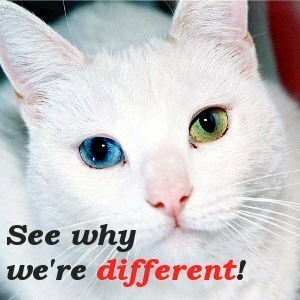 Well, now that you know the pros and cons of wireless cameras and how much work you still may be doing to run wires if you aren’t a smart buyer! Still think you could use an expert at your side to help with the final decision?